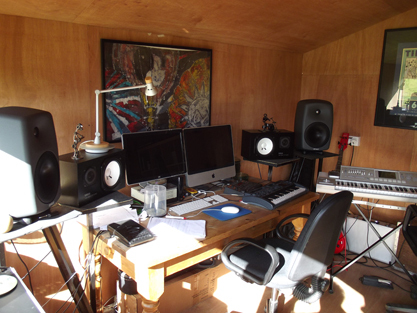 Jamtutti is a privately owned Studio just outside Kingsbridge in South Devon. It is situated in the heart of the countryside yet only a mile from Kingsbridge town... the perfect songwriters' retreat. From the studio you can walk for hours across the open countryside experiencing the magic of South Devon. Three miles away is the beautiful seaside town of Salcombe, with its famous Harbour, restaurants, pubs and designer boutiques. Within a few minutes of Salcombe town you can walk along the coastal path down to fantastic beaches that will inspire that all important idea or song.